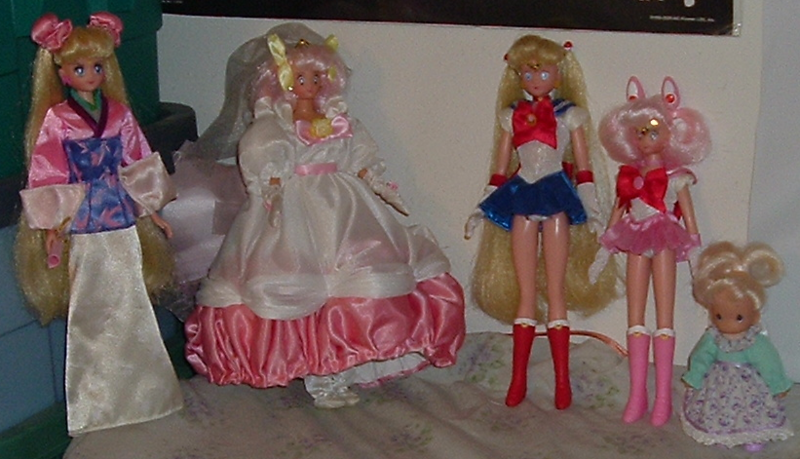 I owned Sailor Moon dolls as a child, but all of these were bought as an adult. This is current as of January 29, 2019. Most of my dolls are from Irwin releases. The only senshi I'm missing is Saturn. Meanwhile, the only Irwin villain I own is Black Lady. I have a handful of Japanese dolls and an 2011 Italian one as well. Nice collection! Do you plan to get Pullip versions, too? back during my early years as an Anime Doll collector/customizer, about 15 years or so ago. i had both of their 1/6 versions of Usagi/Serena, and somehow i wound up with a pair of Chibi-Usa/Rini as well. Oh, awesome! 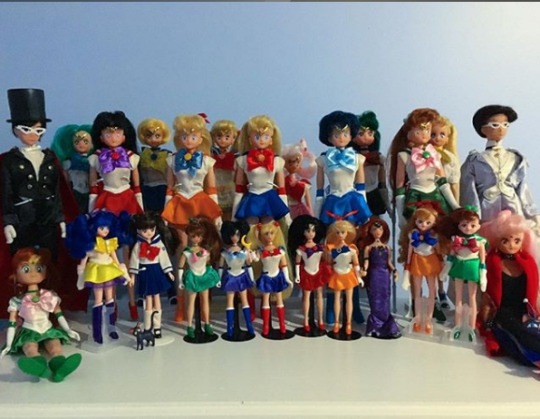 I sadly do not have any Sailor Moon dolls, but I always like looking at others pictures of them. You've even managed to get PGSM Sailor Luna! Oh, she's been a grail of mine but I never seem to find her! (01-29-2019, 10:01 PM)neon_jellyfish Wrote: Nice collection! Do you plan to get Pullip versions, too? Thank you! I intend to. I'm currently debating between Princess Serenity and Princess Kakyuu as my first. Your Wedding Peach looks cool! (01-30-2019, 04:15 AM)werepuppy Wrote: Oh, awesome! I sadly do not have any Sailor Moon dolls, but I always like looking at others pictures of them. 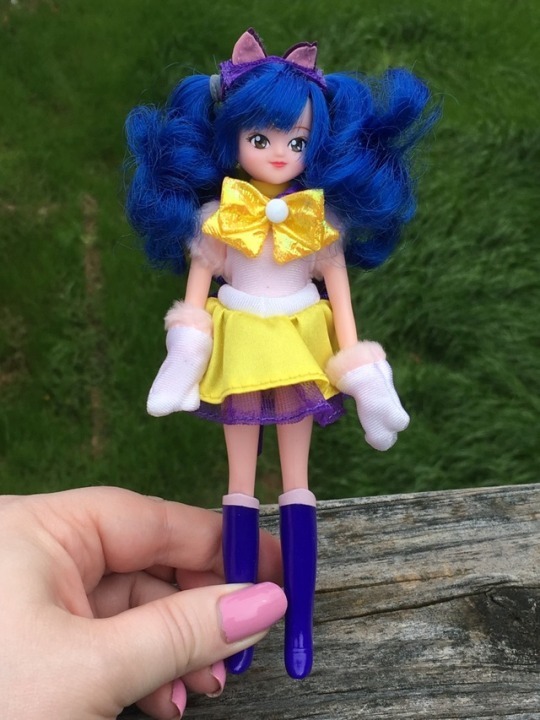 There are actually a couple Sailor Lunas on eBay right now! She's such a cutie. I just had a strong flashback of that Usagi in her sailor uniform, I'm pretty sure I had it as a child and loved her to pieces. Her hair got messy very fast though. Great collection! Wow, great collection! I remember watching a few episodes of Sailor Moon once upon a time but am really not familiar with the story or characters. Hope you're able to able to get another (or two ) of the Pullips you have your eye on. Those are awesome! I don’t think I’ve ever seen the Tuxedo Mask or Endymion ones before but they’re lovely! (02-05-2019, 01:07 AM)GreysPrincess Wrote: Those are awesome! I don’t think I’ve ever seen the Tuxedo Mask or Endymion ones before but they’re lovely! I saw the Tuxedo Mask once in the wild when they were first released, but didn't see King Endymion until I lucked out on a listing for him. The Irwin originals were not anime accurate for sure, but they certainly have a vintage classical charm to them. Like 60's Barbies. I bought Irwin Sailor Moon around 20 years ago because I was (and still am) a big fan. Of course I lost her some years ago with regrets. Now if I want to have her again the price is a bit too high than I'm willing to pay, but not too bad considering the age and collectability. Anyone who bought all the Irwin SM dolls at release and kept them to this day made a smart move. (02-07-2019, 01:06 PM)Kanrabat Wrote: The Irwin originals were not anime accurate for sure, but they certainly have a vintage classical charm to them. Like 60's Barbies. Oh, definitely. They're quite nostalgic for me. Helps that I actually played with them as a kid. Now that I'm adult I can get more and take better care of them! I've lucked out and got most of the Sailor Moon dolls for cheaper than they usually go. My best deal was five Irwin dolls in box for $60, IIRC. This was right before Crystal aired. But some prices are crazy. Irwin Sailor Saturn tends to go for around $300-$500 and I just can't commit to that. That's one hell of a lucky deal you had there! Like buying them at the original price. (02-07-2019, 07:48 PM)Kanrabat Wrote: That's one hell of a lucky deal you had there! Like buying them at the original price. I think Saturn was catalog only, so she was always rarer to begin with. Super Sailor Moon is in the same situation. Saturn dolls are e ensive in general. She's the only main senshi I lack a doll of. I'd love to have one someday. 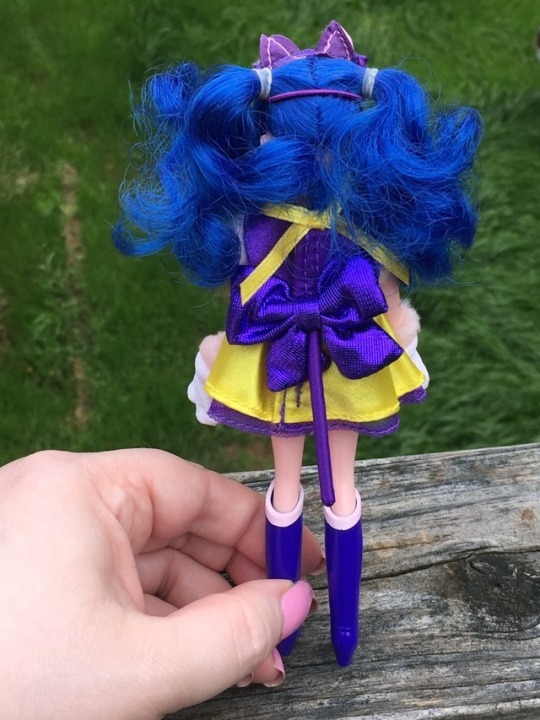 Figured that I'd show off my Sailor Luna doll. She doesn't come with her fan, unfortunately, but rather the Crescent Moon Stick. Luna is the best character in every version of Sailor Moon.